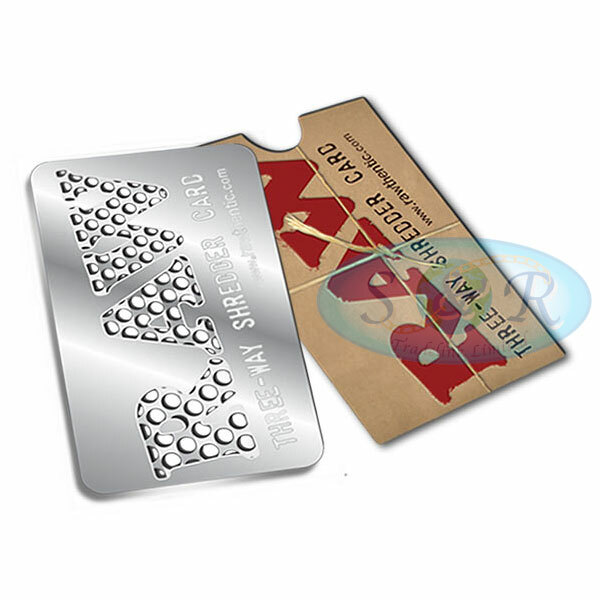 Handy credit card size, grinder/shredder card. Each of the 3 letters in the Raw logo have different grade holes to suit how fine you want to shred your material. Comes in a cardboard sleeve as shown.